(April 1). 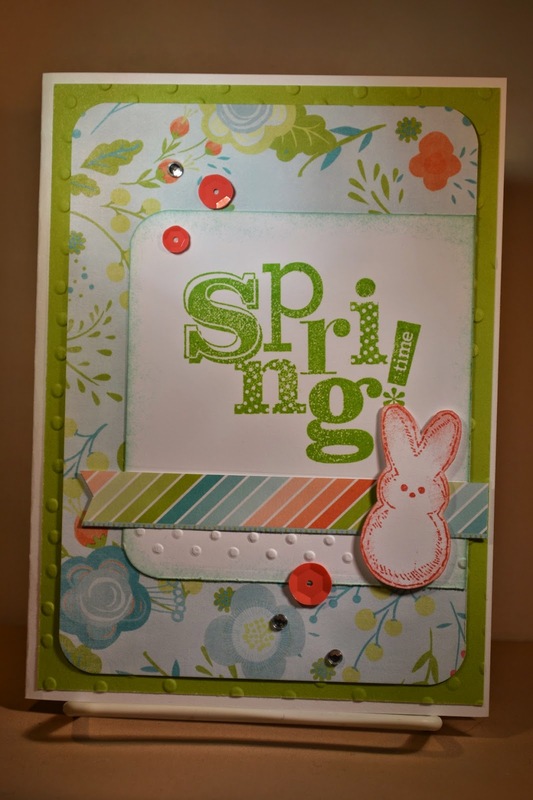 I also used a new paper pack, Blossom and the new Coral Reef Sequins -- love them! Don't miss the next stop on the hop with Haley's Blog. Come on Spring ... please get here soon! I'd really like to enjoy sunshine and warmer temperatures soon! 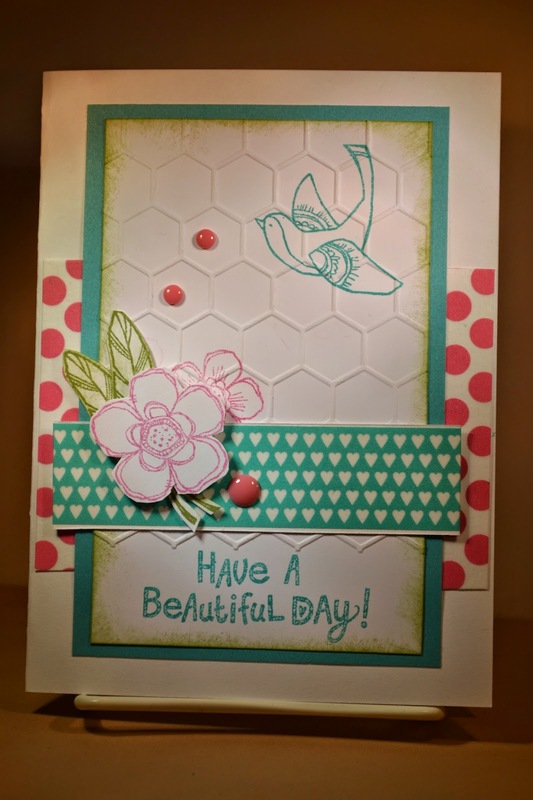 It's not too early though to celebrate with Spring colors and I've been playing with the new paper coming out in the CTMH Seasonal Expressions II on 040115. The colors are so delightful! Cheep! It's almost the end of March and April brings Easter and hopefully more sunshine. 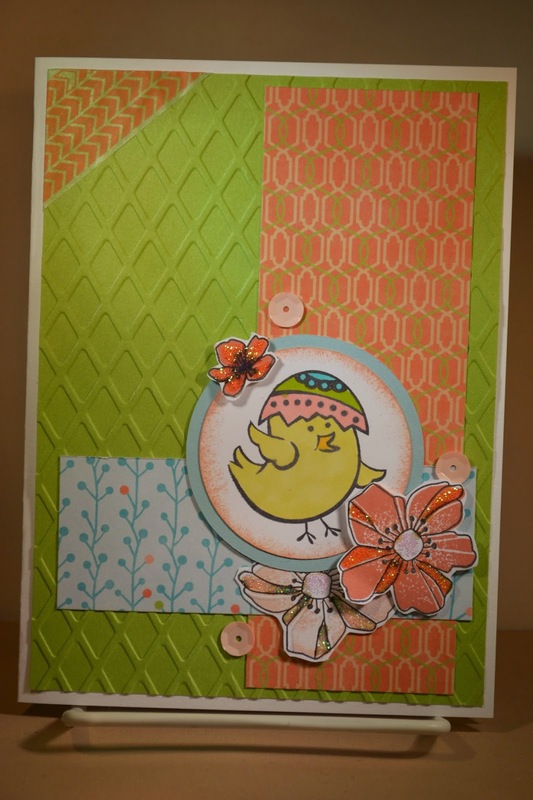 I love to stamp with these cute little Easter chick stamps. 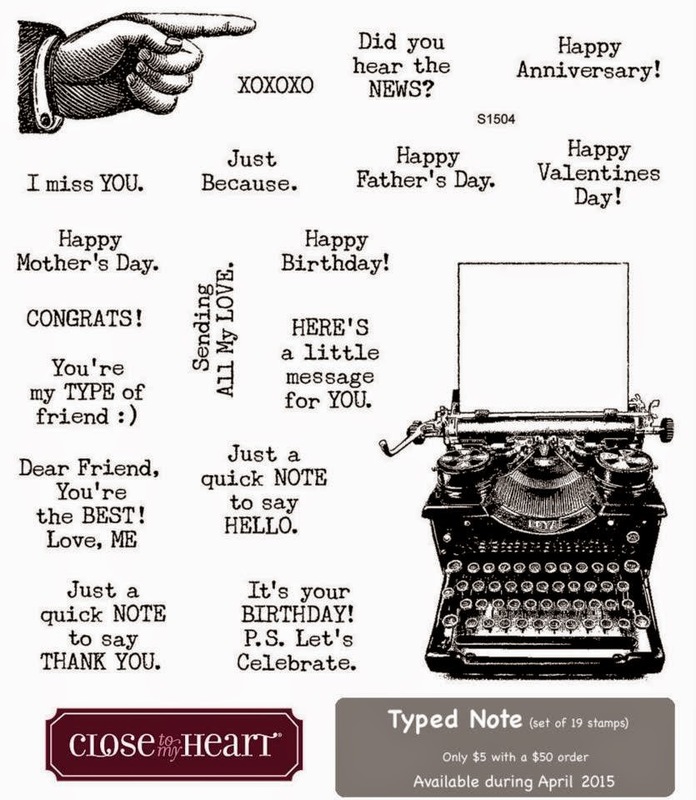 Very fun for Easter wishes ... This is this week's MOJO Monday Sketch #390. 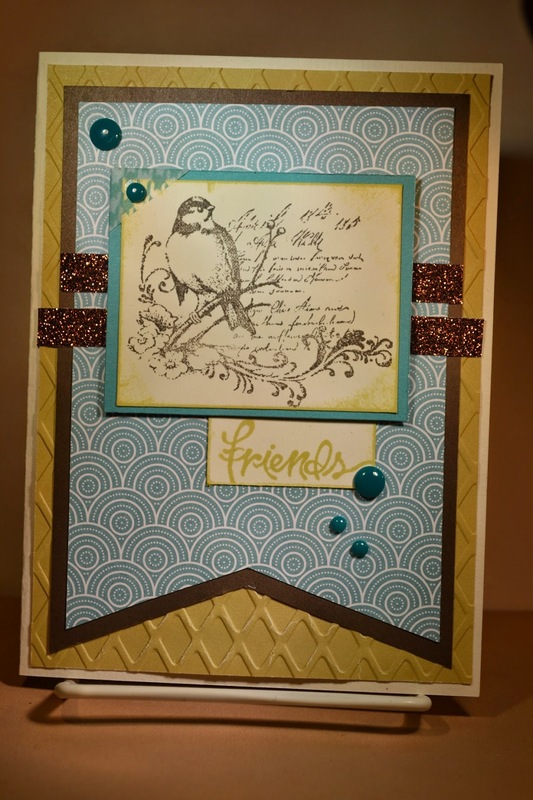 *** Sneak Peek of the new paper & sequins coming out in the Expressions II Idea Book 04/01/15. Hello and Happy Saturday! I love the weekends when the work week is chaotic and it's sure been crazy lately. 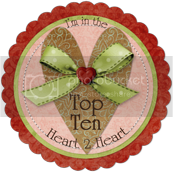 Today I got the opportunity to play along with the Atlantic Hearts Sketch Challenge Celebration #100! Always a fun sketch and this week was no different. 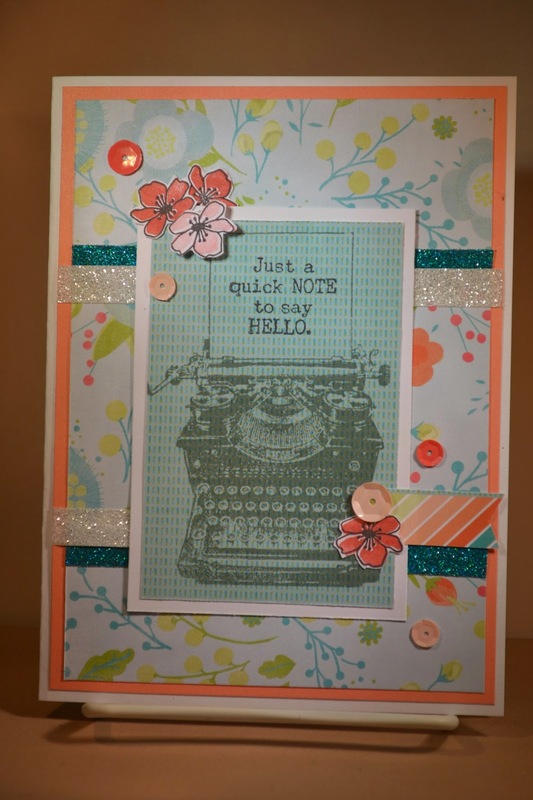 ***It's a sneak peek of new paper coming out in the CTMH Expressions II - Blossom and the fun new Coral Reef Sequins. 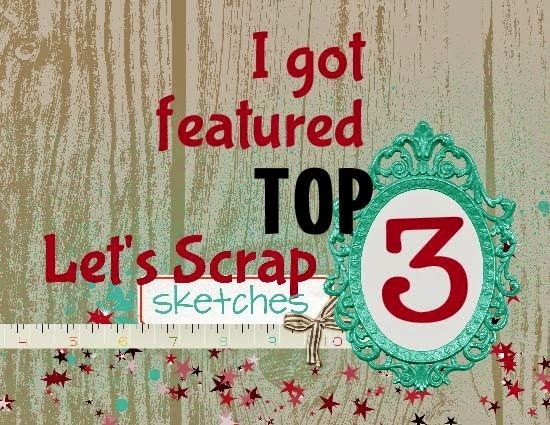 This is a sketch from CAS(E) this Sketch Challenge #102. I love all the layers it had. So far, so good. Traveling this week for work, looking forward to being home soon. Had a chance to finish up this card this weekend. I love the paper fundamentals paper, especially the Whimsy colors. I hope you're having a good week! I was at a crop and one of the ladies had a "Hello Kitty" cartridge. 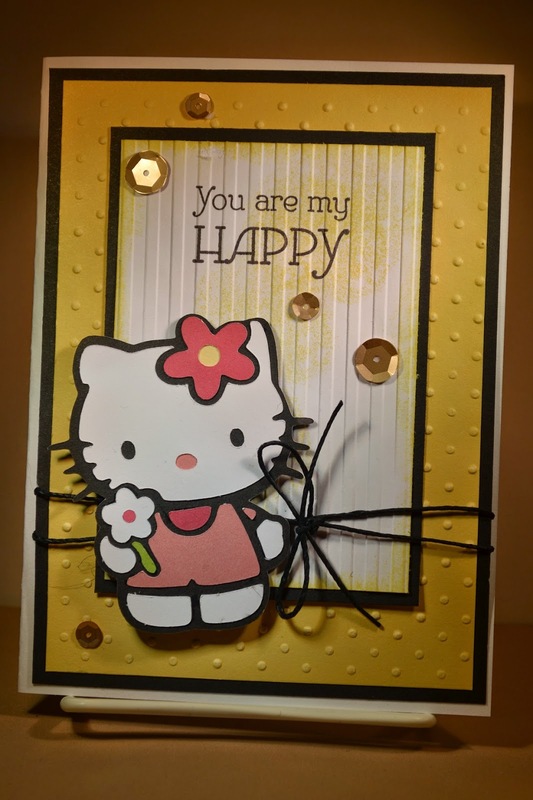 I decided to cut some designs just playing around and figured I use them on a card or 2 at a later time. I found them unpacking my bag and decided this one worked perfectly with this week's Retro Sketch #157. Hope you're enjoying the week! Hello and Happy Monday! It's time to get started with another work week. 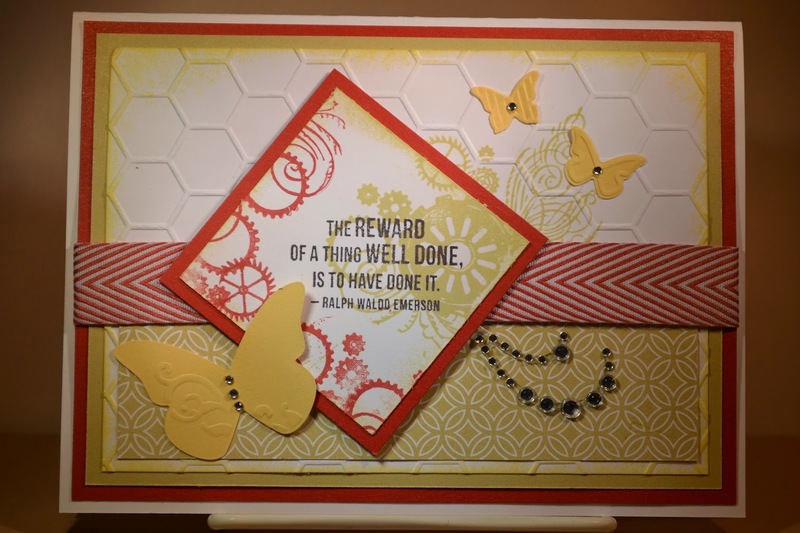 It was a chilly weekend which made for a great time to relax in the craft room to stamp and scrap. Ahhh! Loved it. Here's my card for this week's Freshly Made Sketches #178. 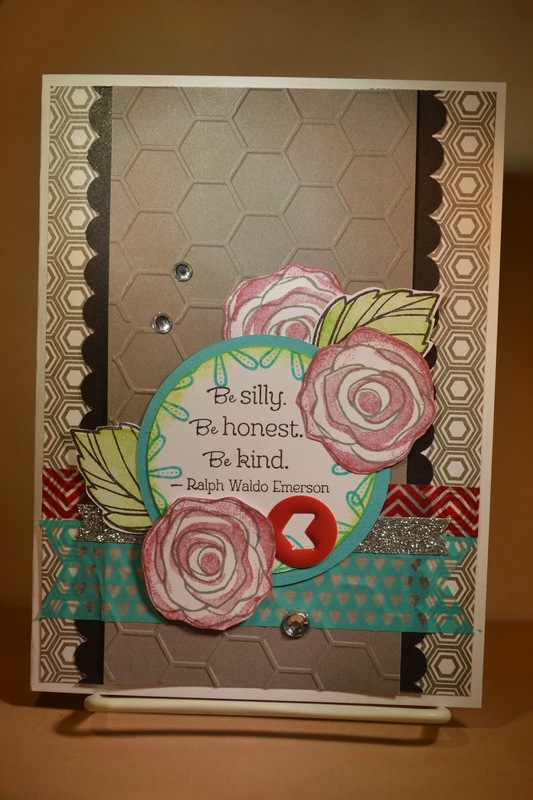 It includes a "sneak peek" of the new Bubbly Enamel Shapes that will be out in the CTMH Expressions II Idea Book on April 1! 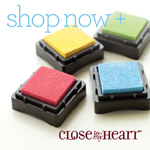 These little shapes are so cute and in fun colors! Recently I had the opportunity to attend Senior Night for my BFF daughter at Western Michigan University. She's been a great cheerleader and school supporter all 4 years she's been there. Kelsie has worked so hard and I was very proud to be invited to the game to see her get her Senior Plaque. 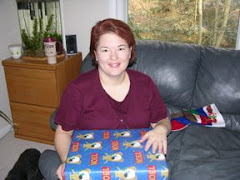 I was happy for my BFF too as I know she was ecstatic for her. I wanted to send her a card and just let her know it was such a great time to watch her succeed and move on for a great career. "It was a Great Day to be a Bronco!" Way to go Kels! 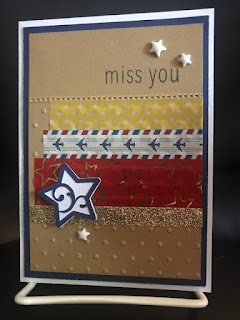 My card was inspired by this week's MOJO Monday #389. Here's a "little sneak peek" of a new product coming out in the CTMH Expressions II which is released April 1 ...Oceanside Sequins! I loved the silver and gold ones and now there are colors -- woohoo! 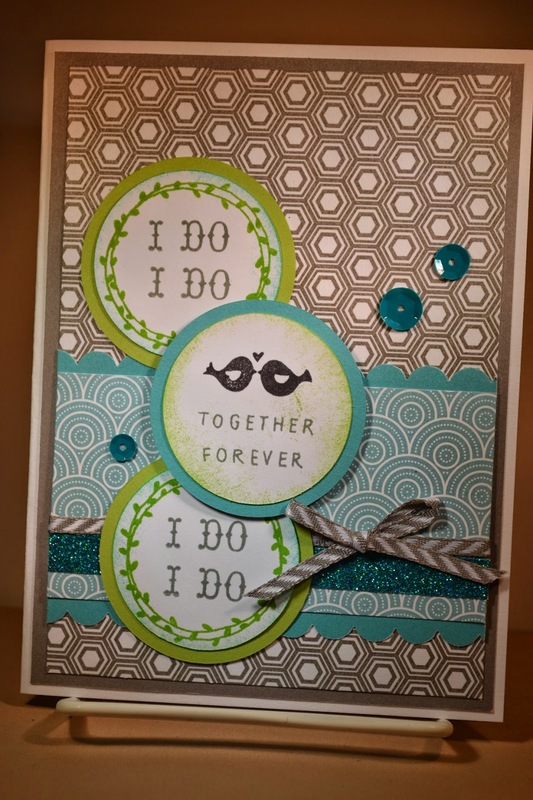 This card is for a gal I work with who is getting married. I used the inspiration from the Atlantic Hearts Sketch #99. Fun, fun! So, let's get on with FRIDAY! It's time to play along with Color My Heart Color Dare #133. This week we're celebrating the colors of Wanderful - Smoothie, Honey, Flaxen, Crystal Blue, Gypsy and Black. 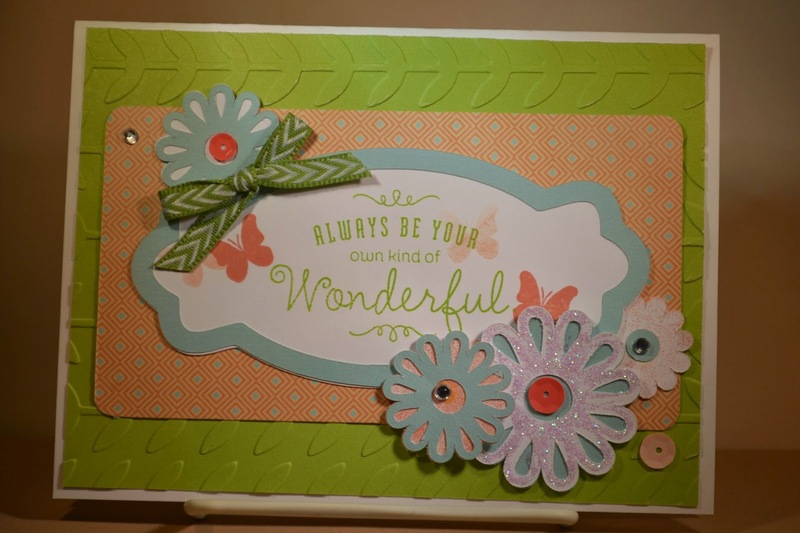 I used all my "official" Wanderful" paper pack for scrapbooking a road trip but I love these colors .... you will too, come and play! Well, it's a bittersweet day as I'm in Michigan with my BFF for her daughter's college "Senior Night". It's the last home basketball game before the MAC Championship, Go Bronco's! I almost didn't make it here thanks to the most recent "winter blast" that moved across the region. I'm ready for winter to be done. 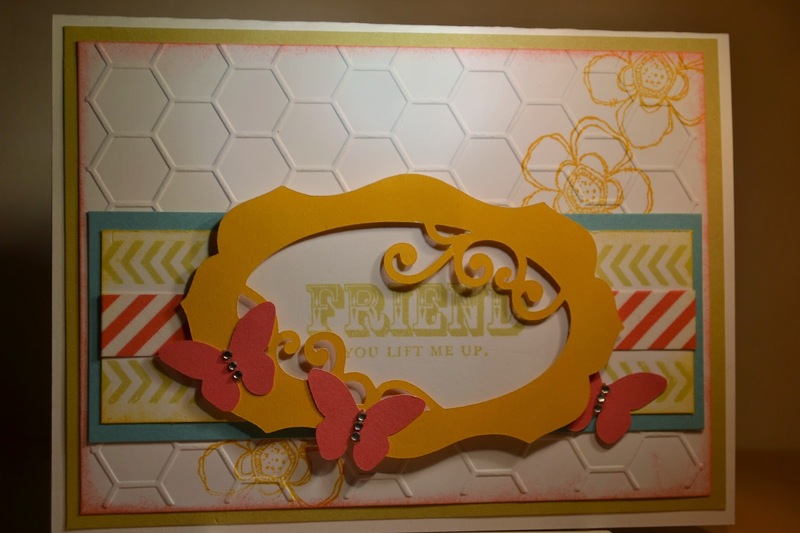 It's Friday which means it's time once again to celebrate with our Color My Heart Color Dare Challenge #132. 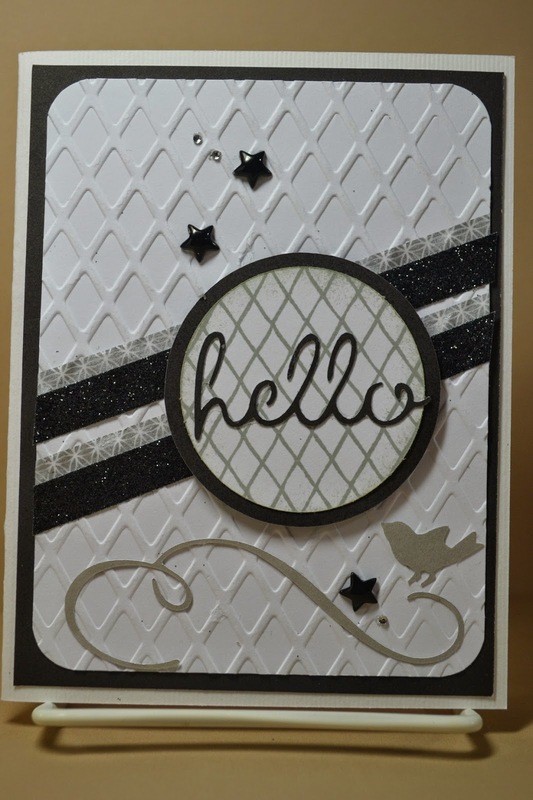 This week we're using Black, White and Whisper. Let's see the fun stuff you can create with these colors. 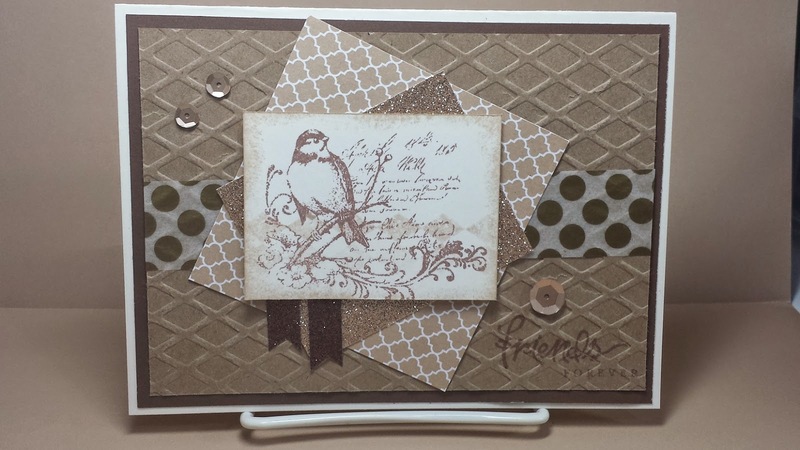 This sketch inspiration is from Freshly Made Sketches #174. I hope you have time this week to play along! Just a note .... to let you know that I heard today is the first day of "Meteorological Spring" ... but, um, it sure doesn't look like it? LOL! 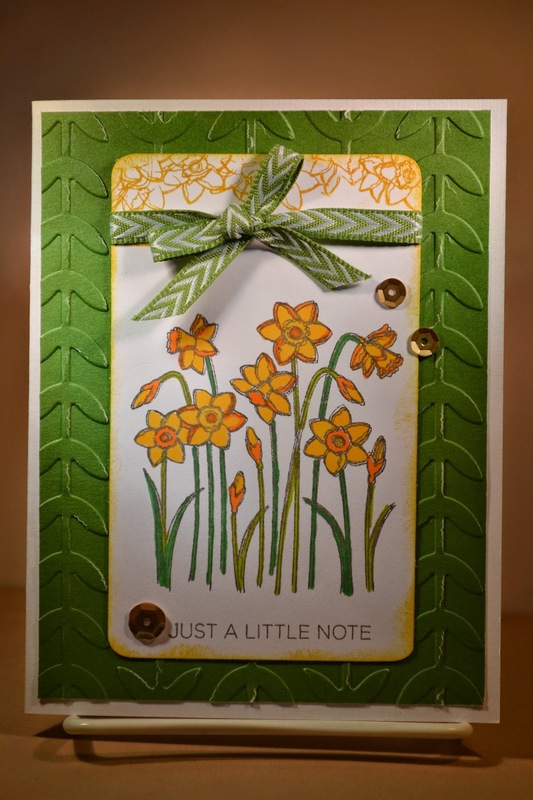 Well, it's Spring in the Craft Room so I'm adding flowers.